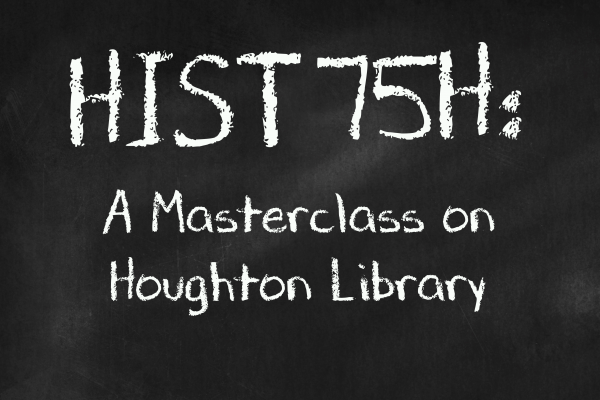 HIST 75H: A Masterclass on Houghton Library is the first of three major exhibitions celebrating the 75th anniversary of Houghton Library. 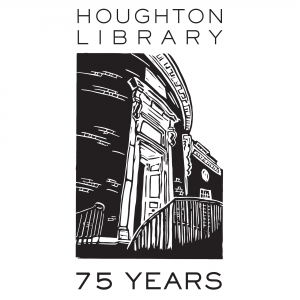 The exhibition sees Harvard faculty honoring Houghton’s support of their teaching and research with a masterclass on the library’s outstanding collections. Nearly 50 academics in fields ranging from astronomy to government reveal Houghton treasures of personal and professional significance. From a wanted poster for Lincoln’s assassins to Charlotte Brontë’s childhood handmade miniature books, the assembled objects represent formative encounters from their student days and careers at Harvard, and the inspiration behind countless publications, including a Pulitzer Prize-winning bestseller.